What's going on with Daylight Saving Time this year? You might remember hearing that the Sunshine Protection Act (which would make daylight saving time year-round in the state of Florida) passed the Florida legislature back in March and was signed into law by Gov. Rick Scott later that month. However, in order to take effect, congressional approval is required, and for now, Washington has failed to act. This means that Florida's clocks will fall back in November just as they have for many years. Currently, Alaska and Arizona are the only states that don't observe Daylight Savings Time. So, don't forget to change your clocks this weekend! 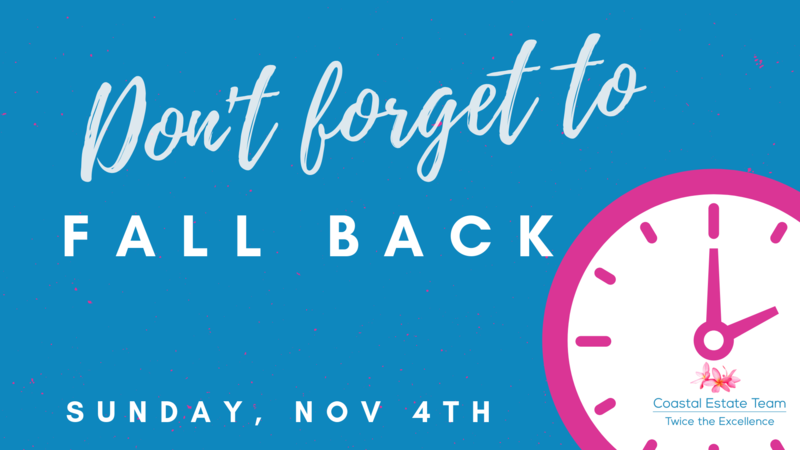 Fall Back one hour!